There is a lot of confusion about the different types of pavers! We’re going to tell you about brick pavers, stone pavers, concrete pavers, permeable paver pervious pavers, porous pavers and green pavers. We’ll give you an explanation of the differences in pavers. 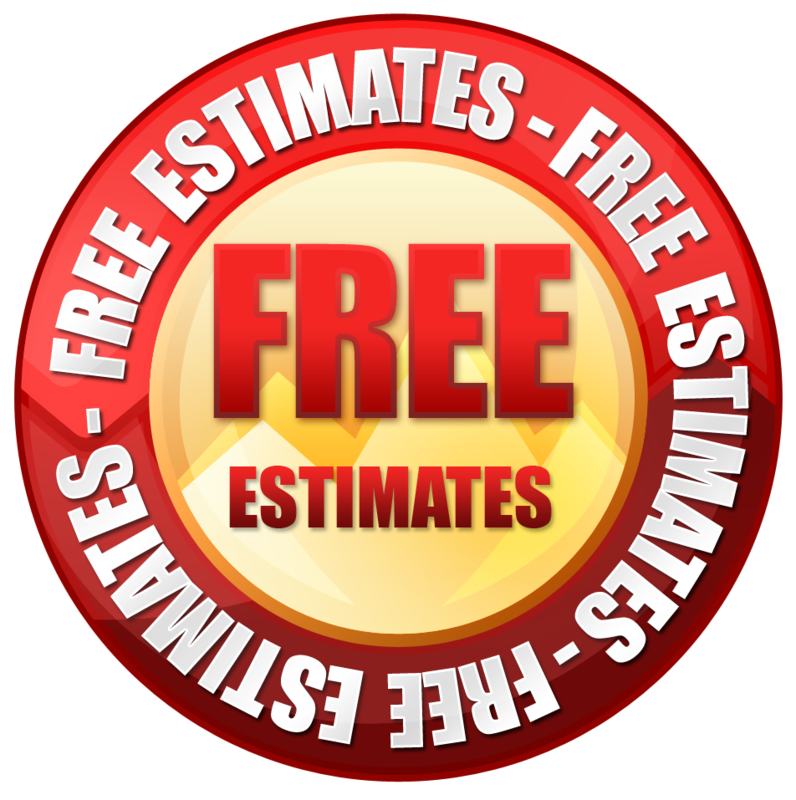 We hope to clear up what kind of pavers you need for your home or commercial project. We Please contact us anytime with your questions. We’ll answer them here, or you canContact uscall us at 303-669-1801. Here’s what you need to know about pavers. Brick pavers: These are bricks that are made from clay and cured by baking the brick in a kiln. These are the bricks you see in streets in many parts of the country, that are sometimes over a hundred years old. Brick now means the shape of the stone and not the material used to make it. Real bricks baked in kilns are much more expensive and we can provide them if you like. They are usually the red color we’ve all come to know. So the word “brick” is often used to describe the shape of the stone and not the material it’s made of. Stone pavers: or natural stones like granite for example, is an extremely durable paving stone used in patios, courtyards, and tabletops. Bluestone is also popular for patios, and driveways), and sandstone which is used for patios, courtyards and many other surfaces in and outdoors. 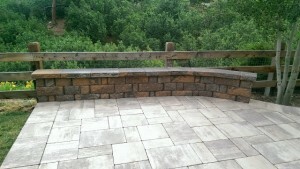 Rhyolite stone and Travertine (pictured here) is a beautiful and durable choice for patios and all outdoor areas. Grass permeable pavers: allow water to drain through their hollow centers and enhance the soils underneath. Interlocking concrete permeable pavers: act like grass pavers because they have voids that can be filled with soil and vegetation, allowing water to seep into the soil and not into waterways, which can degrade surrounding water quality. Porous concrete permeable pavers: have pores that allow water that allow water to be channeled through them to conserve water. Permeable pavers have benefits like, increased water quality, decreased storm water runoff, and prevention of soil erosion and flooding. Permeable pavers can also save you money by eliminating the need for retention and water drainage systems. Q: How will I know which paver to choose for my project? A: Stone Creek Hardscapes and Designs have years of experience working with residential and commercial paver jobs. We will guide you in making the perfect choice for your home or commercial paver project. 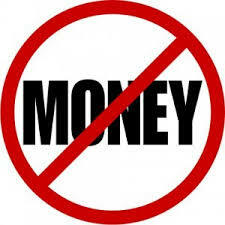 We’ll also show you portfolios of completed jobs and provide you references. Q: Brick paver contractors in Denver use different methods of installing brick pavers; which one is best? A: Stone Creek hardscapes has over 25 years experience laying brick pavers in Denver. The best method is to remove existing concrete or asphalt which usually removes at least 5 inches of soil. Level the roadbase and will install about 1 to 2 inches of sand and level it for the final grade in which we place the brick pavers. Sweep the sand off the surface of the pavers. Install polymeric joint sand in joints of all areas of pavers after pavers have been laid. This will ensure that you get a great job that will stand up to our weather here in Denver. 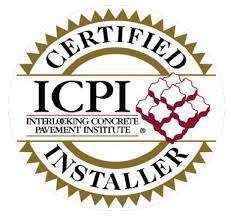 Q: Is Stone Creek hardscapes a member of the ICPI PICP Organizations? A: Yes, theICPI (Interlocking Concrete Pavement Institute) guidelines were created to protect the consumers by setting standards which are in the best interest of consumers. Paver manufacturers require that their pavers will be installed in accordance with ICPI standards and guidelines to qualify for their Lifetime warranties. Q: Should we relocate the roof downspouts away from the area of brick pavers? A: Yes, excess water should be diverted away from any paver patios and driveways. Relocating roof downspouts will keep your pavers cleaner. Debris washed down the spouts will be diverted away from the paved area, reducing maintenance. Q: Will you grade the paver installation for drainage? A: Yes, we slope the pavers away from the house at a minimum of a 1/8 pitch per foot. Q: Will the paver aggregate base absorb or hold water? A: No, with good compaction, the density of the roadbase and sand will minimize heaving or movement of the paved surface during periods of freezing or thawing. Q: How will the aggregate base be compacted? A: In 4″ layers as stated above for maximum density and load bearing capacity. Each layer will require several passes of a compactor. Q: Do you fill the joints between the brick pavers? A: Yes, with clean, fine sand. The sand must be dry so it will flow freely into the joints, which will also prevent ant infestation, weed germination, wind and water erosion. Q: What is an Interlocking paver? A: Interlocking involves three different components. They are resistance to tipping, resistance to spreading, vertical interlock and resistance to sinking. Q: Should brick pavers be sealed? A: Pavers do not need to be sealed. If you do seal pavers, allow 60-90 days before sealing or until there are no more signs of efflorescence. efflorescence is a crystalline deposit that can occur on bricks and concrete surfaces. It must be cleaned off before sealing your brick pavers. Q: How long do concrete pavers last? A: Concrete pavers will easily last f 30 – 40 years when installed correctly. Asphalt and concrete experience a much shorter life span in cold climates. Q: Can damaged pavers be replaced? A: Yes, easily and we’ll make sure we leave you with some replacement pavers. You can use two screwdrivers to remove the damaged paver. Insert the new paver and replace the joint sand around the paver, then simply compact the paver back into place with a rubber mallet. Q: Will freezing and thawing in Denver damage pavers? A: No, damage from ice is almost unheard of. The joints between the pavers allow the pavers to move without cracking in freeze and thaw cycles. Q: Are paver driveways and patios slippery? A: Pavers because of their texture are one of the best surfaces for obtaining safe traction during Denver’s cold winters. Q: What is the difference between Clay Pavers and Concrete Pavers? A: Clay pavers are made with real clay that is mixed and baked in a kiln at very high temperatures. Concrete pavers are made with a special blend of concrete and coloring at high pressures in a special machine. Q: What about snow removal and De-icing salts on pavers? A: Snow can be removed from the surface of pavers using plows, snow blowers, and shovels, as well as with de-icing salts. Most paver manufacturers recommend that you use a calcium chloride based de-icing salt; they do not recommend the use of “rock salt” de-icing agents. Q: Can efflorescence (the white haze) be removed without the wait? A: Most paver manufacturers put chemical additives into the concrete mixture to reduce the likelihood of efflorescence. In most cases, they do the job. Efflorescence may be cleaned with commercially available cleaners specially formulated specifically for concrete pavers. Pavers should not be sealed until the efflorescence is gone. You don’t want to trap efflorescence under the sealer. Q: Are pavers hard to maintain? A: Pavers are almost maintenance free. The use of Polymeric sand in the paver joints will also greatly reduce the possibility of weeds, insects and sand washout making the installation almost maintenance free. Q: Can I pressure wash my pavers? A: Yes, Pressure washing paver’s is all thats ever needed. Different types of paver cleaners are available for stains including oil, rust, paint, tar, rubber and efflorescence. Q: Will my pavers fade? A: No. Because of technological advances in the manufacturing process, pavers made today will not wear and fade like the ones made just a few years ago. 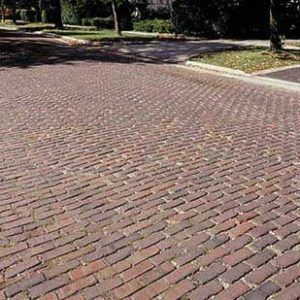 Manufacturers have designed a process that integrates a 3/8″ layer of very fine aggregate and pigmentation into the face of the paver that will not fade as it wears and does not require sealing.